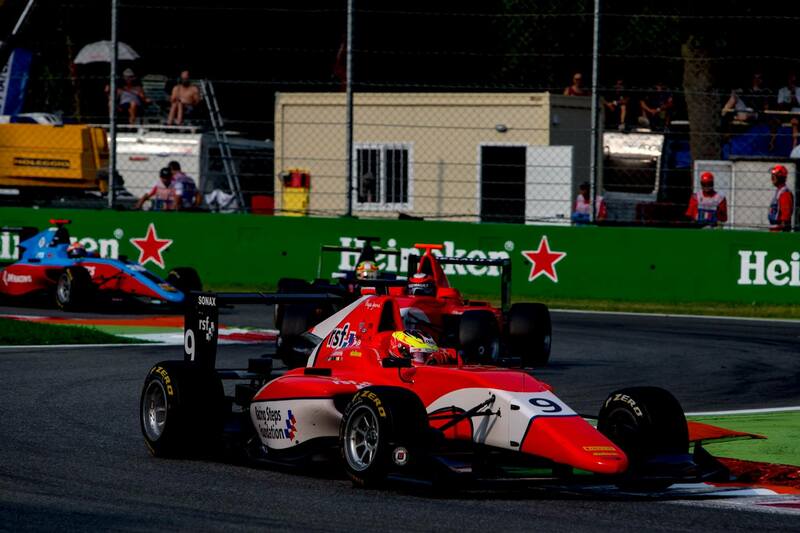 Jake Dennis ended a successful GP3 Series weekend, following up his maiden championship victory, with a fourth place finish in Sunday’s reverse grid final race. The Arden International racer would start the race from eighth place courtesy of his first win from the front row the previous day. Dennis made another good start when the lights went out, and did well to swerve away from a collision between the opening race’s fellow podium finishers, team-mate Jack Aitken and DAMS’ Jake Hughes. Dennis quickly charged side-by-side with championship leader Charles Leclerc through the opening corners with the Racing Steps Foundation-backed driver progressing up three positions to fifth place. Dennis’s pace continued to be a problem for his rivals, as he swiftly gained a beneficial tow behind ART GP’s Nirei Fukuzumi on lap three along the home straight and squeezed the Japanese racer into turn one to claim fourth position. A safety car was required soon after as Fukuzumi looked to prevent further damage by defending from his team-mate Leclerc, leading to the pair colliding and retiring. At the restart, Dennis was forced to defend his position with Aitken challenging into turn one, while reeling in Trident’s third placed Antonio Fuoco. Aitken opted to make his move on the penultimate lap at turn one, but outbraked himself looking to move up around the outside of Dennis, and was forced to run straight on, losing time and handing Dennis fourth place. Dennis was unable to close in further on Fuoco and was forced to settle for a fourth place finish, leaving him in fifth place in the championship standings ahead of the GP3 Series maiden trip to the next round in Malaysia. Jake Dennis rounded out the GP3 Series season with a fourth place finish in the final race of the year at Yas Marina circuit in Abu Dhabi - securing fourth overall in the standings. Jake Dennis recovered from a start line clutch issue to clinch second place in the opening race of the final GP3 Series round of the season at Yas Marina in Abu Dhabi. Jake Dennis secured his third front row start of the season with an accomplished final GP3 Series qualifying session of the year around the Yas Marina circuit in Abu Dhabi. R-Motorsport will continue to rely on Marvin Kirchhöfer, Matthieu Vaxivière, Jake Dennis and Aston Martin factory driver Maxime Martin in 2019.